Harvard Management Company has sold 55,000 hectares of Uruguay timberland to a consortium of local pensions for $330 million, according to Montevideo-headquartered agricultural real estate firm Farmland Uruguay. 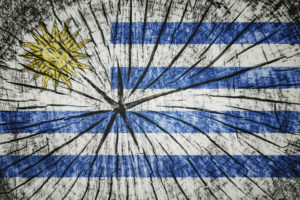 In a statement, Farmland Uruguay said local pensions had collaborated to establish a trust, Bosques del Uruguay IV, that acquired the timberland and an additional 4,600 rented hectares that are planted in pine and eucalyptus trees. Farmland Uruguay founder and director Wilfred Morren told Agri Investor his firm was approached by the operator of HMC’s timber assets, which asked for help in finding foreign investors interested in acquiring the properties. The operator also manages properties surrounding the assets HMC sold, said Morren, and it retained Farmland Uruguay to gauge investor interest as part of an effort to expand its portfolio. Uruguay’s timber market is relatively small, said Morren, adding there were about five groups interested in the properties sold to Bosques del Uruguay IV, a vehicle managed by Agroempresa Forestal, an ag-focused asset manager operating across Brazil, Chile and Uruguay. With the exception of BTG Pactual’s $402.5 million acquisition of 120,000 hectares of timberland from Weyerhaeuser in mid-2017, Morren said, the HMC transaction stands out for being much bigger than Uruguay’s average timber deal of between about $20 million to $25 million. Though such deals are too small to entice much interest from international investors, Morren said, local pensions started investing through trusts a few years ago and farmland and timberland quickly emerged as natural areas for them to focus on. Whereas investors making timber deals of $25 million and below will typically lease properties to Uruguay’s large, international pulp mills, Morren said, larger institutions like Harvard that are focused on deals of $50 million and above often retain direct control and hire local managers on contracts in order to capture more return. When he established Farmland Uruguay about 10 years ago, Morren said, the agricultural real estate market was in the midst of a boom fed by high soybean and farmland prices. More recently, domestic investors and others from neighboring Argentina have been active in a market that has seen an approximately 40 percent decline in prices over the past three or four years. As prices have fallen, Morren said, some German and US investors have also returned to the market for timberland in Uruguay. There was a German investor that expressed interest in the HMC properties, he added, but they ultimately decided against purchasing because the 7.67 percent annual return Agroempresa Forestal projects for the properties is beneath their expectation of at least 10 percent returns. Morren said it was his understanding that Harvard’s decision to sell its Uruguayan timber properties came in 2017 and motivated more by a change in their overall portfolio than anything related to these particular assets.